-A screenshot from video captured by Guillermo Angel. 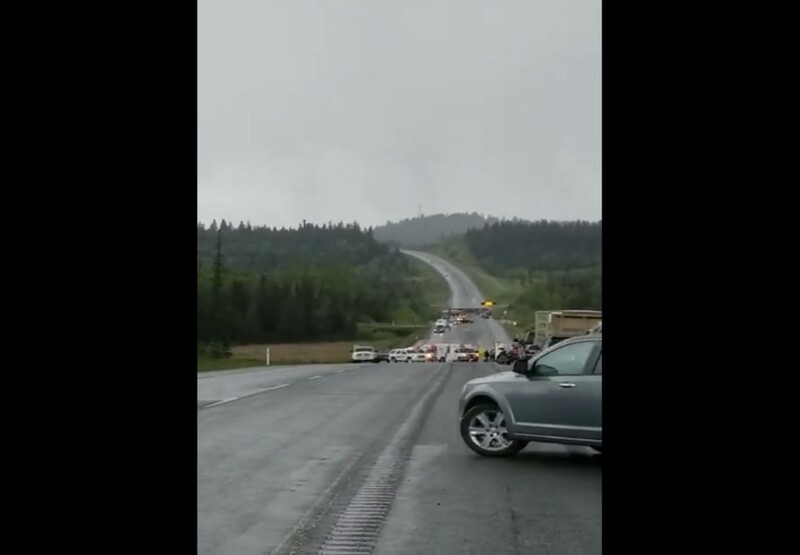 BC Traffic Services has released the details surrounding a fatal accident that closed Highway 97 south of 100 Mile House on Sunday. 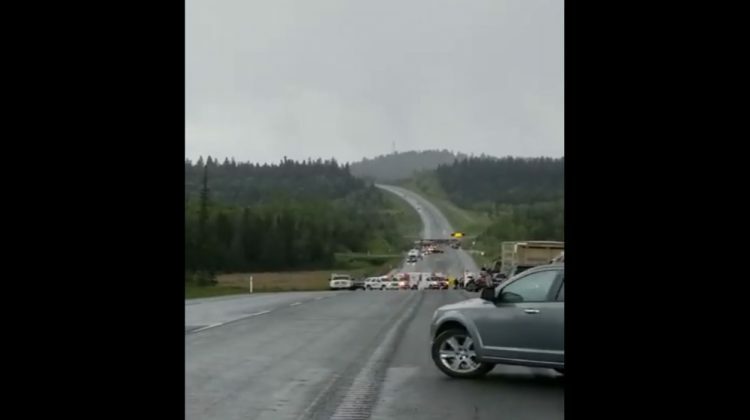 Media Relations Officer Corporal Mike Halskov says it happened near 83 Mile House at around 2-30. The victim’s name is not being released but Halskov does confirm that they were from the Okanagan. An investigation into the crash continues, although Halskov says the cause may be linked to road conditions as there was a hail storm reported in the area at the time.